Technology can be a blessing, but it can be a pain at the same time. 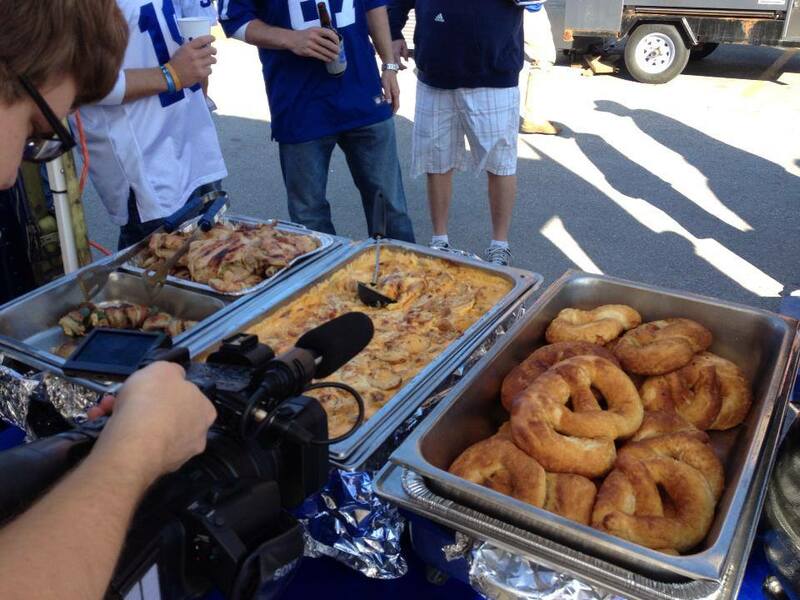 Unfortunately, it was a pain for me which is why we don’t have a Tailgate of the Year video from the Broncos game. All the footage that we shot was unfortunately deleted. 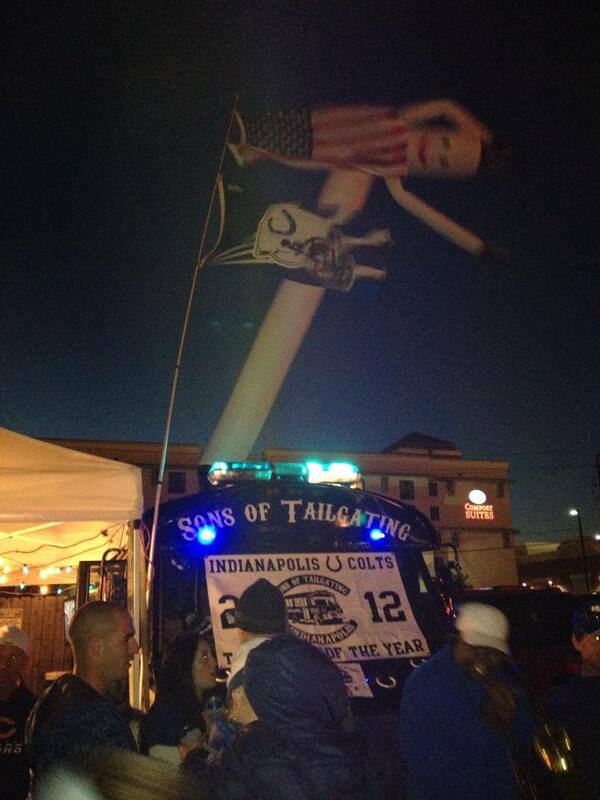 Therefore, I am writing a recap of the tailgate because I visited two fun and COLTSTRONG tailgates. However, I was able to catch up with them later in the year. 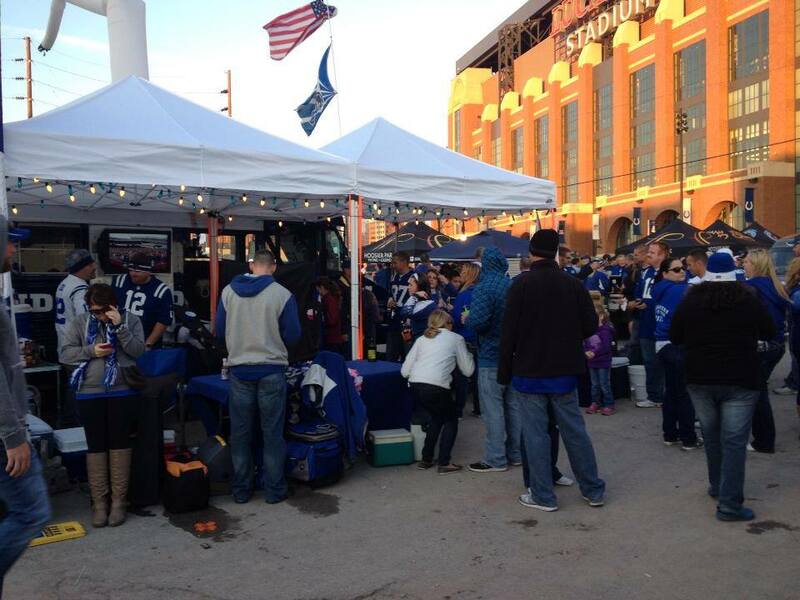 We invited a few of our favorite tailgates to enjoy a VIP tailgate spot right across from Lucas Oil Stadium. 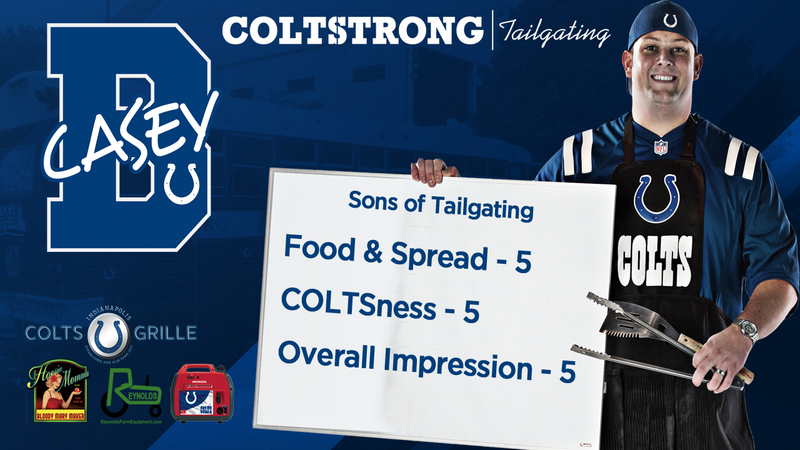 Watch the video below to get a better idea of the Sons of Tailgating. 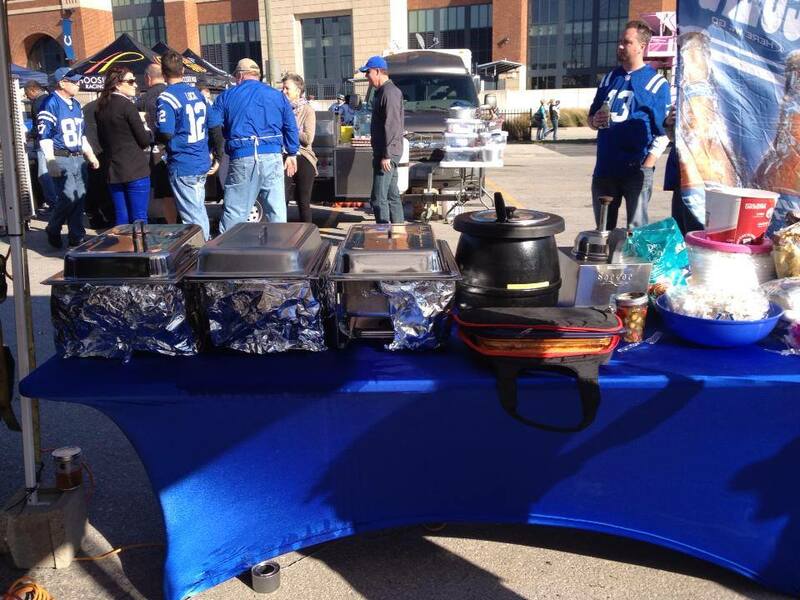 I started at the Ryan Fire Protection Tailgate which is located just west of Lucas Oil Stadium. While their centerpiece is a BIG and bright GREEN and white fire engine, everyone was sporting their blue gear. I had seen this tailgate before, but this was my first visit. 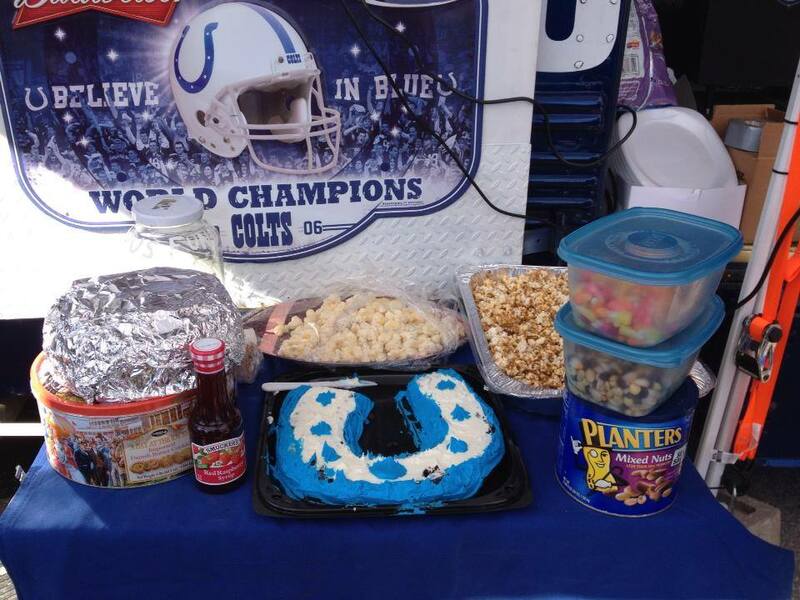 With all the emotion and buildup for the big game, they took a different approach to their tailgating menu. They had a catered Qdoba buffet that must have been 15 feet long. I’m talking steak, chick, queso, guacamole, beans, rice, tortillas, all types of salsa and really anything you could want. While it’s not what I’m used to seeing from a food standpoint, it was still delicious because it was Qdoba. They had corn hole set up and of course the beverages were flowing. They also had a mobile bar tucked inside one of the fire engine’s side compartments. Everyone was friendly and of course having a great time getting ready for the prime time matchup. They had a lot of energy as it was still early when I stopped by, and went out of their way to make me feel welcomed. Great hospitality from this group! The second tailgate I went to was the 2012 Tailgate of the Year Champions “the Sons of Tailgating.” They had been telling me that the Broncos tailgate was the one to come to and they were not lying. Dave, who handles all their food, brought the perfect menu to win over my heart. Their main course was stuffed tomahawk pork chops that were perfectly cooked. They had cheesy potatoes with a creamy cheese sauce that was unreal. They also had homemade pretzels and of course they brought the nacho cheese dispenser. They even had bacon wrapped jalapeño poppers and some “Asian Cajun” ribs! Check out the photo gallery below for more photos from the tailgate! 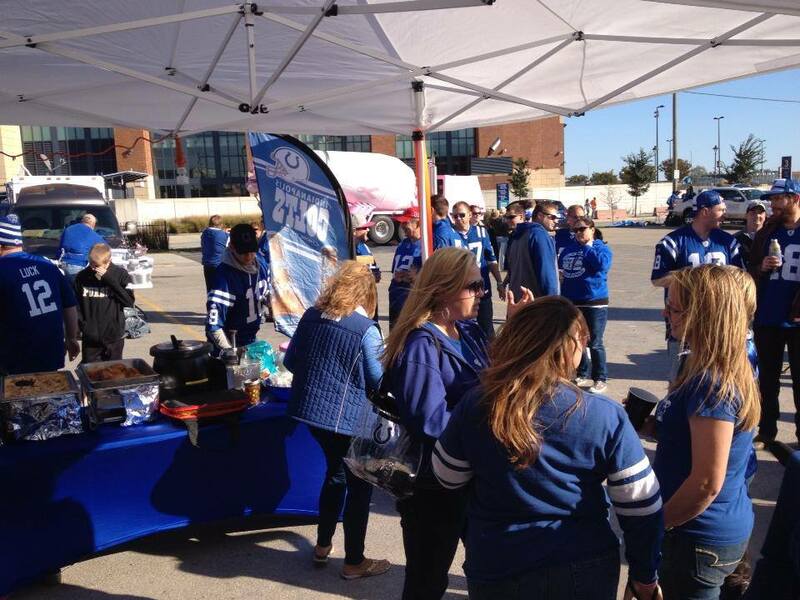 The atmosphere was top-notch as that become expected with this tailgating group. 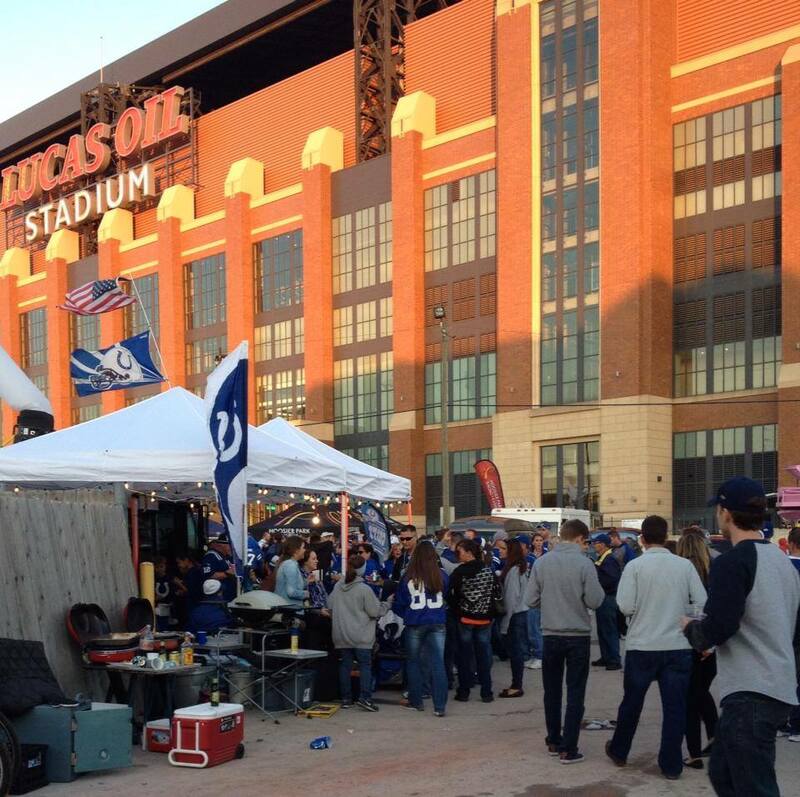 They had A LOT of members of Colts Nation out getting ready for the big nighttime game. 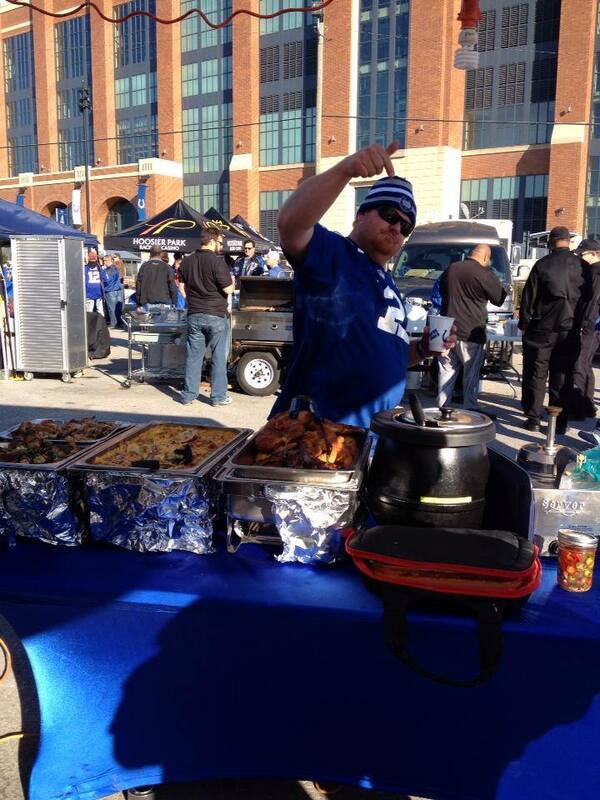 Overall, both tailgates were impressive. The energy level all around was unlike anything I’ve seen due to the magnitude of the game that was coming up. 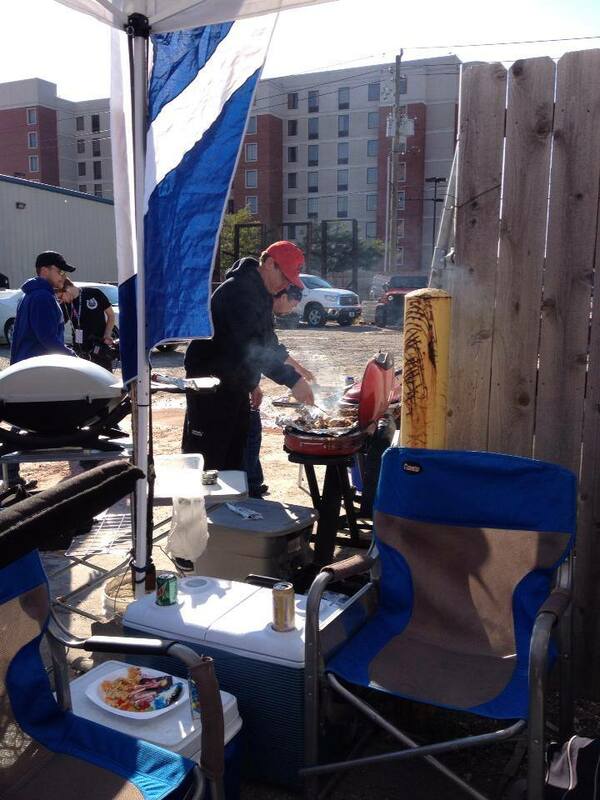 At the end of the day, one tailgate had to win and that was the Sons of Tailgating. They were the defending champs, and could have taken a week off, but they didn’t! They brought their A game and had every angle covered! 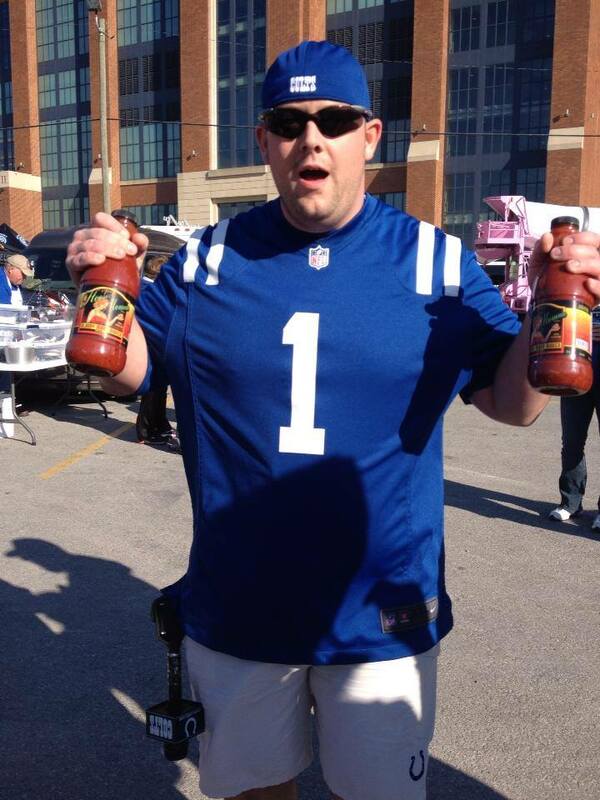 I’ll be out and about again prior to the Rams game on Nov. 10th. Feel free to tweet me @ColtsCaseyB or hit me up on Facebook and I could stop by your tailgate!